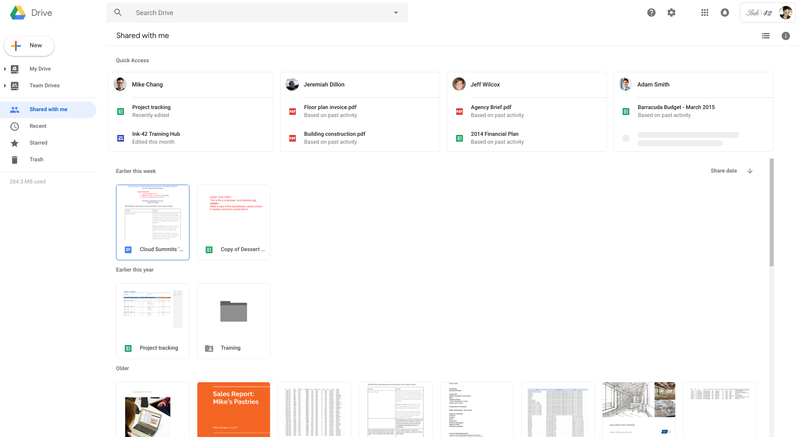 Google started rolling out a new interface for Gmail last month, with a much brighter appearance and more rounded elements. In a surprise announcement, the company is now doing the same for Google Drive. Beyond the much brighter interface, there are some small functional changes. The new design has already started to roll out, but Google says it won't reach 100% of users for another few days. It definitely fits in with the new Gmail and the rest of Google's updated apps, but I think I prefer the old look.